We are fundraising to help end violence against girls. When I started Safe Hands for Girls a six years ago, I never thought we would go ahead and accomplish so much together. Over the past 6 years, Safe Hands for Girls has directly reached hundreds of thousands of women and girls across the continent of Africa and millions more with our advocacy. With your support, we have been able to change laws, change mindsets and work with religious leaders to bring about concrete change in communities. Today, we are asking you to stand with us one more time. 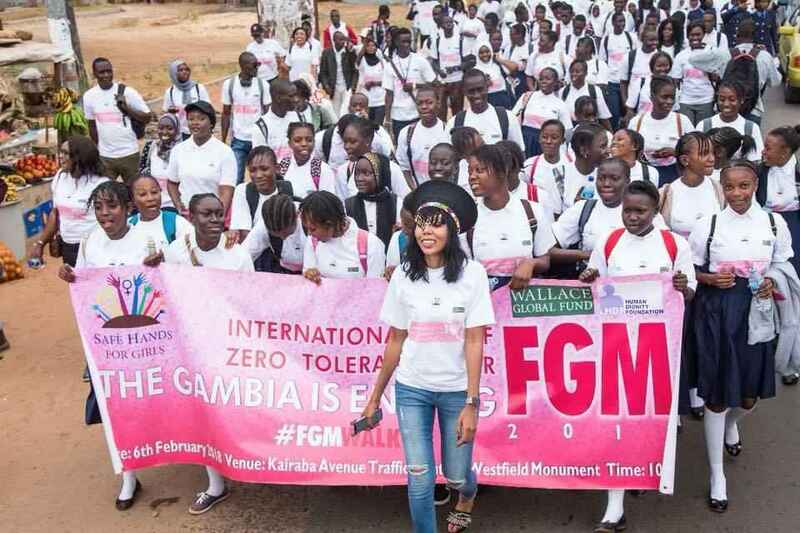 We are organizing the first Africa Leadership Summit against FGM and Child Marriage in Dakar, Senegal from April 23rd, 2019 to April 25th 2019. We are bringing together religious leaders, activists, survivors, law makers and government agencies throughout the continent to ensure that we are ending FGM by 2030. At Safe Hands for Girls, we strongly believe that we can end FGM and child marriage within our generation if we build on the momentum that we have created. Safe Hands for Girls has been working with Al Azhar University considered to hold the highest authority when it comes to Islamic Jurisprudence. Al Azhar will help facilitate the conversation with religious leaders that will hopefully end with a joint declaration from religious from all seven countries. You may ask why another conference and why Africa? Over the years, we have seen a lot of conferences on FGM and Child Marriage outside of Africa. Conferences that we have seen in Africa have treated FGM and Child Marriage as separate issues. At Safe Hands for Girls, we believe that FGM is tied to the marriage market and until we tackle them together we will not see results. We also believe that Africa needs to take the lead when it comes to these issues and countries need to also feel the financial burden in order to see results. By having governments commit financially, it will make economic sense for them to wipe it out faster. What's different in our approach is bringing heads of states, religious leaders, law makers and survivors to build a blueprint on how Africa is going to end FGM and Child Marriage by 2030. We plan to bring together the people that will continue the work in the hearts of the communities when its all said and done. We are asking you to stand with us today by donating and sharing this campaign widely. Praying for girls around the world. Women are all sisters and have a responsibility to help each other. I want to see these beautiful girls safe from this harmful practice. Everyone deserves an opportunity for freedom of choice and an end to suffering in their lives! Young girls and women need to be protected from these medically harmful and outmoded practices. Because I completely support this organization! I'm a mother and a grandmother and I care. Sorry it can't be more. FGM is pure evil. We need to stop it now! I hope this mutilation of our sisters stop, very soon. Well done for doing this.